About the Book: A deep and riveting psychological thriller inspired by true events of the Victorian era, The Medea Complex explores the nature of the human psyche: what possesses us, what drives us, and how love, passion, and hope for the future can drive us to insanity. 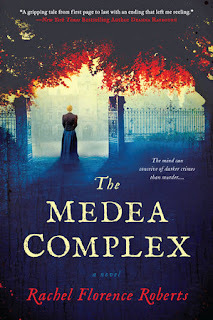 Fill out the Form below to be entered to win a copy of The Medea Complex. Giveaway ends June 20 and winner will be notified by email. Open to US residents.